After going back to my hometown near Pittsburgh, PA for the holidays, I decided I should slip a few yoga classes just to further broaden my exposure to the practice and teaching styles–I am a teacher in training! A chilling snowstorm crushed that goal for a few days; luckily, by the end of the week the weather had cleared a bit, and I discovered a “Power Yoga Workshop” at one of my favorite studios in the South Hills of Pittsburgh. At $30.00 for 3 hours and instruction by Miss LA Finfinger–one of my favorite teachers at the studio–I couldn’t resist! Now, this was my very first yoga workshop. Its been five years of practice, a few months of teacher training under my belt, attendence at countless yoga studios, and I am finally taking a workshop! It was a bit nerve-wracking because my expectations were so high. 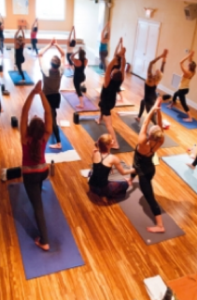 I am drawn to a dynamic, unheated, and more spiritually-centered yoga practice; since this workshop was focused on Baptiste-style heated power yoga, I knew it would remove me from my comfort zone, push me, and truly test my limits. When I think of yoga workshops and what a student can learn from them, I imagine focus lying in certain segments of yoga practice–backbends, arm balances, inversions, meditation, bandhas, chanting, etc. I would expect to be taught which parts of my body to strengthen, stretch, flex, or relax to better accommodate the poses to my own body–I want to leave feeling accomplished and educated with a few new tricks to add to my list. The unique theme of this workshop is that it took a normal Baptiste-style class and jacked it up on steroids. Essentially, it was three hours of power yoga–quickly followed by countless liters of water and a three hour nap! In my most candid opinion, I would say that I was a bit disappointed by the premise of the class; it was more of an extended practice and less of a “workshop” so to say. I do try to take away something positive from each class I attend. What I was able to take from this was I could handle an intense physical and mental workout with poise and appreciation. I left feeling elated, proud, exhausted, excited, and a bit nauseous–even the nausea felt rewarding though! Though this experience didn’t exactly give me what I would most desire from a workshop–technical direction, adjustments, focus on certain parts of the body, a lesson or two in the philosophy of the practice–it did at least expose me to an extended guided yoga class. With each class I take at a new location or in a new style, I also learn more about myself and my personal preferences for the practice. I have acquired a wealth of knowledge from various studios, styles of yoga, teachers, mentors, peers, home practice, and my very first workshop. I will surely continue to add to this yoga resume expanding it every chance I get becasue what if there is something out there for me that I haven’t touched yet and I am meant to? So the hunt will continue until I learn everything I can about yoga–and let’s be honest with ourselves here–that would take many lifetimes to accomplish. 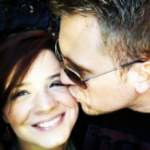 Jessica French lives in Kennesaw with her boyfriend, Chad Gibbs. They met while deployed in Afghanistan. Months after returning home, Chad looked her up and the romance was born. She eventually moved from Pittsburgh, PA to Kennesaw, GA to live with him, his brother, and a newest addition to their family—Little Ralphie her four pound Shih-tzu. Jessica has her nerdy full-time job in marketing and is still part-time employed with the Air Force. However, her true passions lie in yoga, love, friends, family, wine, and snuggling up with her boys. Workshops are so great to gain better understanding about the depth of yoga. Thanks for the share! Thanks Jackie!! 😀 Ya it was about time I took a sip of the workshop kool-aid. I am so jealous of your experience with Shiva Rae by the way. Teacher training has really inspired me to dip into the different facets of the yoga experience out there and available to us as yogis. 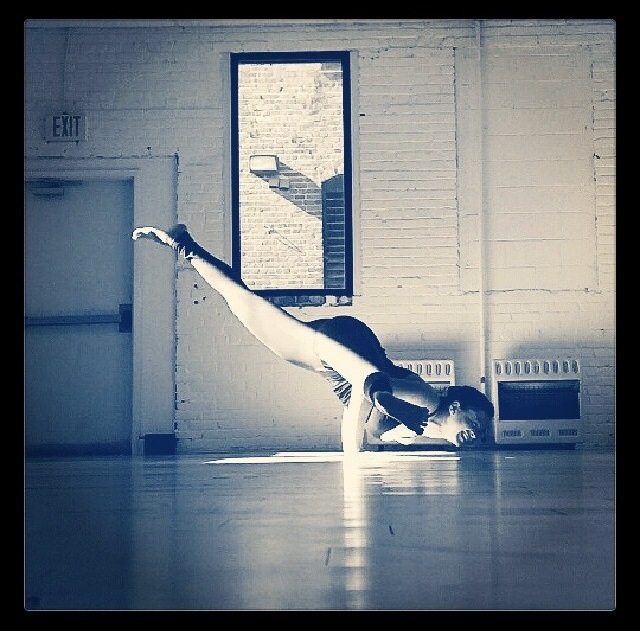 Great blog writer/Yogi Jessica!!! I am glad that you got to do a workshop! That same experience happened to me early in my practice when I did a workshop with Shiva Rea, but I wasn’t near as strong as you are! Way to go!